On Sunday 15th July 2018 a dominant WCC out-performed Zürich Lions to win their Pickwick Twenty20 match by 41 runs. 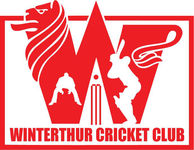 Winterthur won the toss and elected to bat first, captain Mo had instructed his batters to be positive and play aggressively in today's encounter. Following the captains instructions the WCC openers Kasun and Latest signing Sufyan Cheema looked to be positive. In the process Sufyan (6) who hit a massive six over mid-wicket tried to repeat it and was caught at short mid-wicket, Prafull (0) who went into bat also looked to be positive and was unfortunately caught at square leg trying to pull a short ball. WCC were 12/2 in 3 overs. Then Pip joined Kasun in the middle to built a partnership for WCC, they batted till the 8th over when Kasun (15) was out caught at point. WCC were 47/3 in 8 overs. Fahad joined Pip in the middle and tried to build another partnership but soon Fahad (2) was out caught at long on. WCC were 52/3 in 10 overs and WCC were literally starring down the barrel, when Mohamed joined Pip in the middle, to make the situation worse Pip (23) the set batsman was out stumped the very next over. WCC were 61/4 in 11overs at this stage Bhanuka joined Mohamed in the middle. They put on a much needed partnership keeping the scoreboard ticking with singles and twos and dispatching the bad balls to the boundary. They batted together till 17th over when Mohamed's (37) little cameo ended out caught at square leg, WCC were 117/5. This is when Sahan walked out to the middle to join Bhanuka who was batting sensibly. Then it was total carnage... Sahan absolutely slaughtered the Lions bowlers to score 42 runs off just 14 balls before he was judged LBW on the very last ball of the WCC innings, Bhanuka was not out with 14 runs. WCC posted a formidable 171-7 in 20.0 overs with 110 runs coming off the last 8 overs of their innings showing the depth in batting, some amazing power hitting and skills in taming the Lions. When WCC took to the field it was again about being positive in the field and playing fearless cricket. Pip opened the bowling for WCC with his deceiving leg spin and immediately got the Lions opener Tanmay for a duck. Amit and Ankush built a partnership taking Lions to 50-1 in the 7th over when Sahan struck this time with the ball getting Amit (9) out, to a fantastic catch by wicket keeper Prafull stretching down the legside. Lions were 69-2 in 10 overs. This brought Lokesh out to the middle to join Ankush they tried to be positive as the required run rate kept creeping up. Soon Ankush (41) was also caught behind by Prafull off the bowling of Sufyan, Lions were 71-3 in 11. Sentil walked out to join Lokesh in the middle for the Lions but they lasted just 2 overs before Lokesh (22) was brilliantly run out but Mohamed and Sufyan combined. Lions were 85-4 in 13 overs. Kanishk came to join Sentil in the middle but almost immediately Sentil (7) too was caught behind by Prafull off Sufyan, Lions were 88-5 in 14 overs when Captain Sheshu walked out to the middle to join Kanishk with an uphill task ahead of them needing 88 runs off 36 balls. The very next over Kanishk (2) was out superbly stumped by Prafull who was having a brilliant day behind the wickets for WCC off the bowling of Bhanuka, Lions were 89-6 in 15 overs. Sonu joined Sheshu in the middle but there was very little they could do because the required run rate was 16.6 runs per over. In the process Sheshu (6) was out caught by Sufyan who took a fabulous catch, running behind and having to stretch at the last moment to complete it off Nafees. Lions were 102-7 in 17 overs at this stage. Shinwari joined Sonu in the middle with no other option but to hit fours and Sizes to take them home, they built a partnership taking the Lions to 124 runs before Sonu (7) hit one straight up in the air to be scooped up by Prafull who completed his fifth dismissal in the game off the bowling of Nafees. Omed walked out to the middle to join Shinwari with an impossible task ahead of them. Omed (4) was out to a well judged catch by Nafees at deep cover off the bowling of WCC youngster Elyas, this brought Khadeesh to to face the last ball of their innings. Prafull's involvement in 5 dismissals behind the stumps.